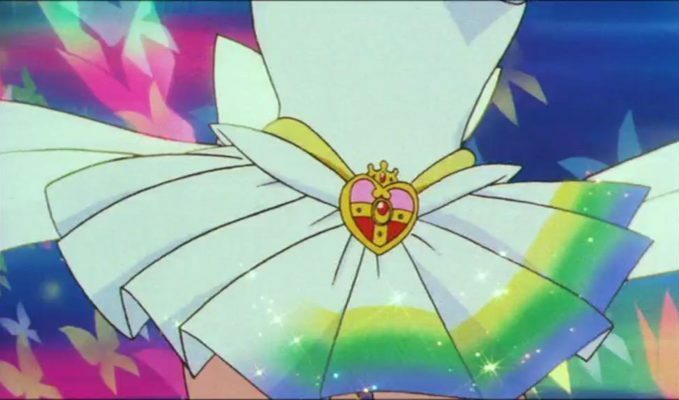 No matter what way you cut it, Sailor Moon was very much a product of its time. While Sailor Moon Crystal makes some efforts to update the technology (e.g., changing floppy disks to CDs, etc. ), there are a lot of elements in the series that we just wouldn’t see if the series had been made today. Specifically, Makoto’s character is strongly based off of the late-80s tough-girl, sukeban1 character type. Even her skirt length, which we’ll discuss more later, is a direct reference to this character type. The importance of the Crown Game Center to the story is another good example. Arcade culture today is nothing like it was back in the early 90s, and it would feel really out of place to have these characters spending a lot of time there. But what’s also important to realize is that this connection works both ways. Sailor Moon was absolutely everywhere and seeped into nearly every facet of life back in its heyday. To say that this had an impact on the fans that grew up with the series would probably be an understatement. And that brings us to the topic that we’re looking at today: did the designs of these short-skirted Sailor Soldiers of love and justice somehow influence a generation of students to grow up and embrace the miniskirt? The theory may not be as ludicrous as it initially sounds. First, we need some background, and to take a look back at a slightly earlier phenomenon from the early 90s: that of the burusera (ブルセラ) shops, which were basically stores that sold girls’ worn gym and school uniforms.2 While it’s hard to say exactly when these stores got their start, by the early 90s they were frequently reported on in the Japanese media, especially once the Japanese police started to try to crack down on them around 1993 or so. Since the vast majority of Sailor Moon fans were in elementary or junior high school, they were still far too young to be directly affected by this creepy fetish unique economic opportunity. However, one side effect of the burusera shops is that it created the “high school girl” brand — or, in other words, the idea that being high school girl was in and of itself meaningful in society, and thus had value. Kogal is a Japanese fashion culture that involves schoolgirls wearing an outfit based on their uniform, but with very short skirts. The short skirts are worn irrespective of the season. Let’s see. Girls… wearing an outfit based on their school uniform… with a very short skirt. Now, where have seen something like this before? The basic idea behind this theory is that Sailor Moon fans who were in the tail end of elementary school, or at the beginning of junior high school, when the manga and anime were first released in 1992 would be just entering high school when the kogyaru fad started to take hold. Up until that point, the fashion was for sailor (school) uniform skirts to be on the long side. To go so far as to say that having grown up watching these magical girls fighting against the forces of evil in slightly-modified school uniforms raised a generation to want to mimic that in their own fashion is a bit of a stretch. With that said, I still think it’s entirely possible that Sailor Moon actually did have somewhat of an influence on this culture trend. How? Simple: this “Sailor Moon generation” grew up exposed to the idea that they would one day grow up to be members of that “school girl brand,” while at the same time having been surrounded by imagery that the school uniform with a shortened skirt was not only acceptable, but cool. If Usagi, a clumsy and imperfect girl, could do it and become the strong, confident Sailor Moon… why can’t you? Looks like Rei’s already gotten a head start! As with most social phenomena, there are always many questions and very rarely do we get a satisfying answer. There may not even be an “answer” per se, and it might just be an odd combination of the right place, the right time, and right situation all happening to come together to result in a certain event, culture, or idea springing forth. Like, in this case, school girls wanting to wear shorter skirts. 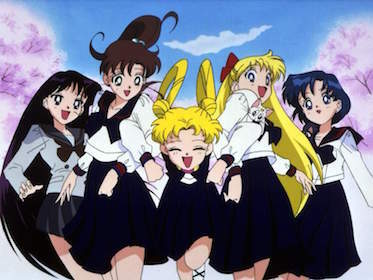 I strongly believe that the generation of Japanese women in their 30s, the Sailor Moon Generation, were strongly influenced by the series growing up, and that you can probably trace some cultural changes back to it. But what do you think? I’d be interesting in hearing other people’s thoughts on this theory! 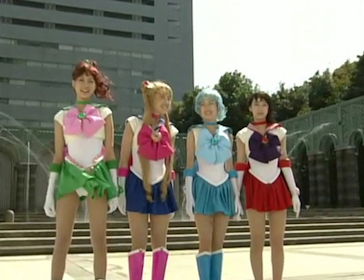 ← Where is the Original Sailor Moon Musical / SeraMyu Cast Today? 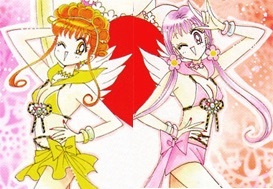 Okay my question is who are Naruru and Ruruna, ChibiUsa’s gyaru friends? I never seen them in the Manga or special stories? It’s debatable whether the Picture Diary stories are even canon, so their status in the manga are kinda suspect. They also appear in one color illustration done for the artbooks. You know what I always wondered? Why are the girl’s beds are always horizontal to the wall. 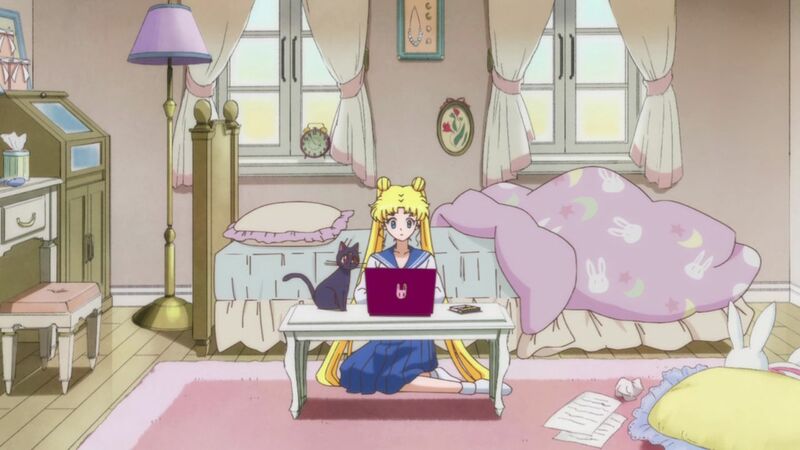 The picture of Usagi’s room is an example but Chibiusa’s is also like that (under the window), Mamoru’s is, Rei’s is (from the episodes they study in her room you can see) and I believe the episode where Makoto gets sick you can see her bed is the same way. Is this the way Japanese bedrooms are decorated? Is there a reason for it? Is it to make room for the little table in the middle of the room? In an American bedroom, we like our beds to be vertical to the wall, taking up the space in the middle of the room. But in Japanese bedrooms, is that not the case? It’s worth noting that in Crystal, Mamoru’s bedroom layout is American style. So I’m just wondering if this is a “thing” or if I’m overthinking this. I’m American and I’ve rarely had a room big enough to have my bed sticking out in the middle, always along the wall. Most teen rooms go along the walls, you only need it out in the middle if you share the bed with someone. I think you’re overthinking it.